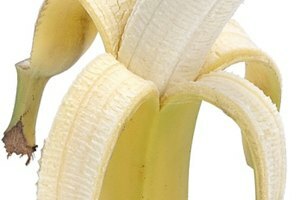 For bruises or a browned surface, cut off the discolored area. If it's a partial avocado, such as half a leftover avocado, cut 1/8 inch off of the cut surface to remove the browned part. If the discoloration is from mold, however, discard the avocado. Mold has a furry appearance and may look white or gray. 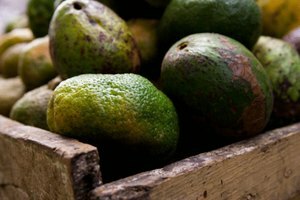 Mold toxins can affect the rest of a soft food -- even after you cut the moldy parts away -- and these toxins can make you ill. Don't sniff an avocado that has mold on it. Sniffing mold can cause respiratory trouble. When in doubt, assess the odor. Avocados generally keep in the refrigerator for three to five days, but if the fruit is bruised or over-ripe, it won't last as long. Over-ripe avocados become brown with a black skin, and may have sunken areas where the skin is separating from the underlying flesh. Sniff the over-ripe avocado to check if it has a rotten or "off" odor. A sour taste or bad smell can indicate bacterial spoilage, and these avocados should be thrown out. An avocado that's good to eat has a mild, pleasant smell. 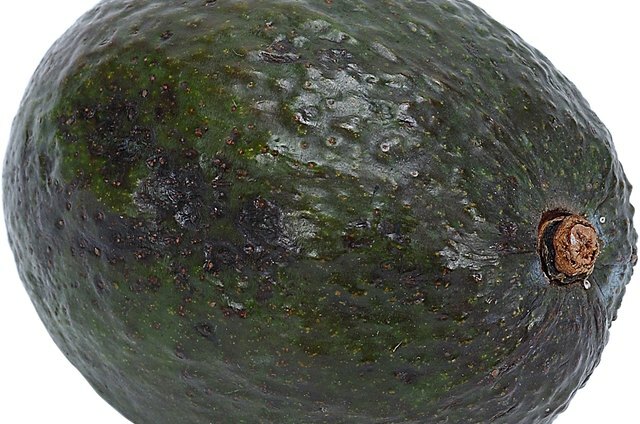 Streaks of black or brown through the avocado occur occasionally in fruit from young trees, according to the Hass Avocado Board. These aren't harmful, and don't affect the flavor of the fruit. Although these avocados won't make an attractive garnish or salad topping, they taste fine and work well for guacamole. Once the avocado is cut, air exposure causes the flesh to become discolored. This process is called oxidation. Drizzle lemon on avocado flesh and avocados mashed for dips and guacamole. 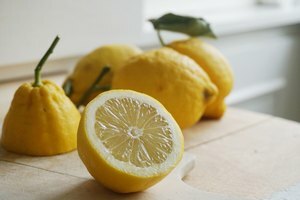 Lemon or lime go particularly well with the mellow flavor of avocados; orange, tangerine or vinegar will also keep the flesh from changing color. Keep avocados tightly wrapped after cutting into them. Apply cling film or waxed paper in direct contact with the avocado's surface to limit its exposure to the air. 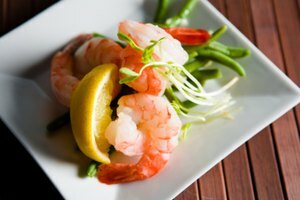 USDA: Molds on Food: Are They Dangerous?